Many users are registered in the various mail services, social networks, password, etc.. Account on such sites called Account. In this article we'll talk more about accounts and their types. The word comes to us from the English language. It translates as "bank account". However, the Internet, this term is used in a somewhat different meaning. An account on the Internet - is a collection of user data, he introduces himself when registering on the site. personal information is stored in your account (the user himself has given), history of use of the site, etc.. The account profile, the user can specify a lot of additional information about yourself: activity, interests, hobbies, favorite films, books, musicians and other details, help to learn more about the person. Quite often, the information from the profile used for various filters. for example, Some sites may not start in certain sections of people younger than 18 years old. Depending on the interests of these may be recommended by other users and the community. To create an electronic mailbox on any mail service, also need to have an account. The mailing address is necessary not only to communicate with other people, but also to register for various services. Since many sites after each registration request is sent to the user's e-mail link, by which he must pass. Thus, the user confirms, it really it is registered on the site, not anyone else. Never forget, that all information, posted on the Internet, It may be stolen. And it does not depend on your account settings, the level of protection the site or of any other factors. therefore not recommended to leave the profiles in some meaningful information about themselves: address, phones, candid photos, etc.. It is also desirable to specify in the profiles of their passwords and logins. The enemy does not sleep. Hackers can easily steal your personal information and make it available to the public. In total there are two main types of accounts: personal and business account (commercial). 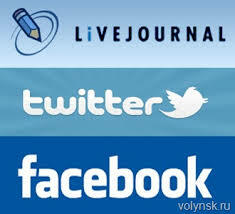 Example of personal account is, eg, page in the social network. ie. this account, which is used for communication and other purposes, but not for a living. Commercial account for implementation of various financial transactions with. All these advantages can significantly increase sales and boost your income.